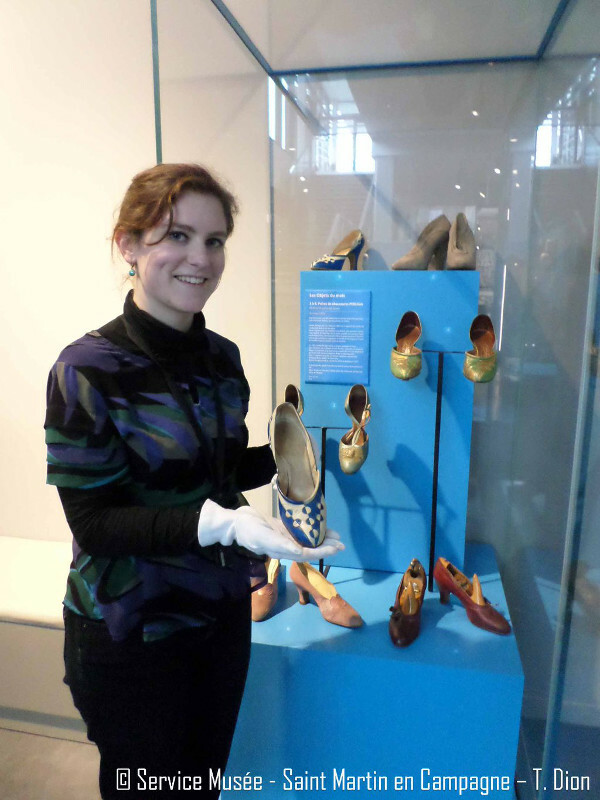 We recently discovered the engaging Musée d’Histoire de la Vie Quotidienne (MHVQ) of Saint Martin en Campagne (Normandy, France), that hosts shoes made by André Perugia. We wrote to the Museum and the very kind curator, m.me Apolline Rouget, sent us a few useful information and a complete set of photographs. 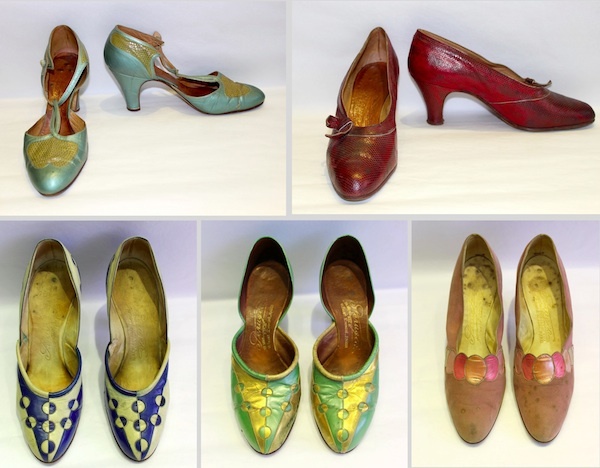 The shoes - said m.me Rouget - five pairs in total, are a recent acquisition, but apparently the museum has been given misleading dates. 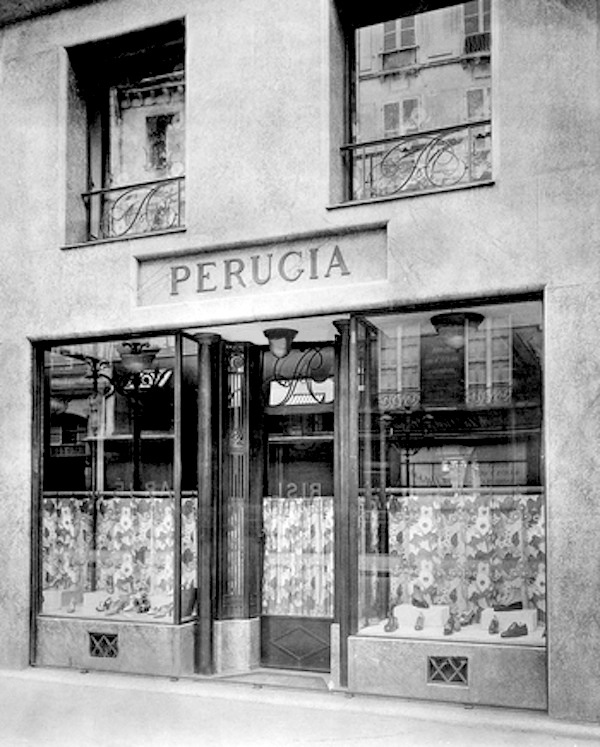 All the models are from the Twenties, the period of the Faubourg Saint-Honoré shop in Paris, and all but one have an inscription on the outsole with the name Perugia. 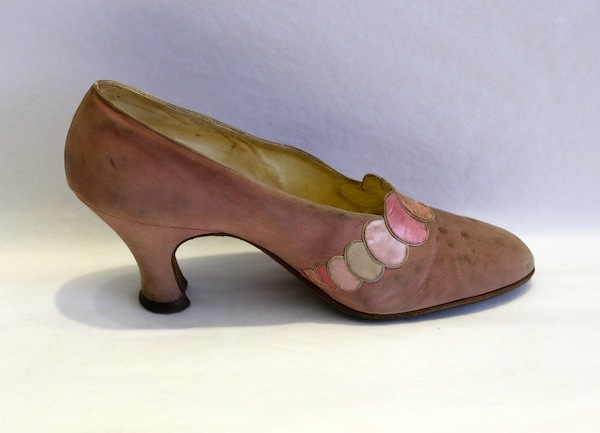 The oldest is a pump in pink suede from the mid-Twenties (circa 1924), with a delicate decoration of kidskin circlets in pastel shades. The shape is very simple and the decoration is elegant and well balanced. The gorgeous blue and white pair comes from the 1925 collection that we called «Orphic» because the vamp decoration is inspired by the artistic movement mainly represented by the Delauneys spouses. 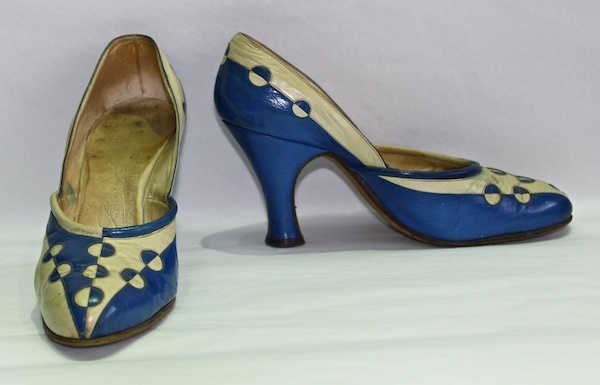 The shoes are a virtuoso piece of work based on the contrast between blue and white, with small kidskin circles combining the same two colors. The third pair, of contrasting tones of green and gold, is a semplified style of the Orphic collection (the circlets are only on the vamp) and apparently it was made a little later. A sister model - with a different combination of tones - can be found at Moscow's Shoe Icons.